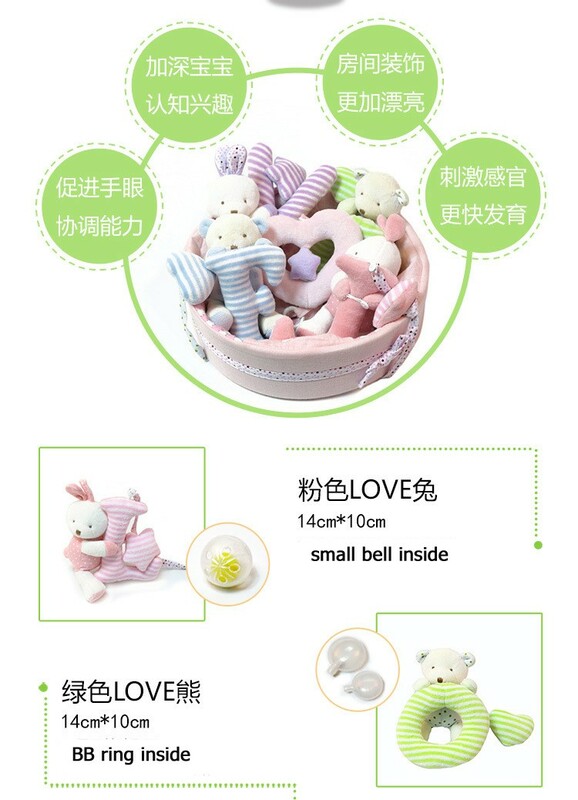 A joyful toy that will bring your baby the maximum possible pleasure. 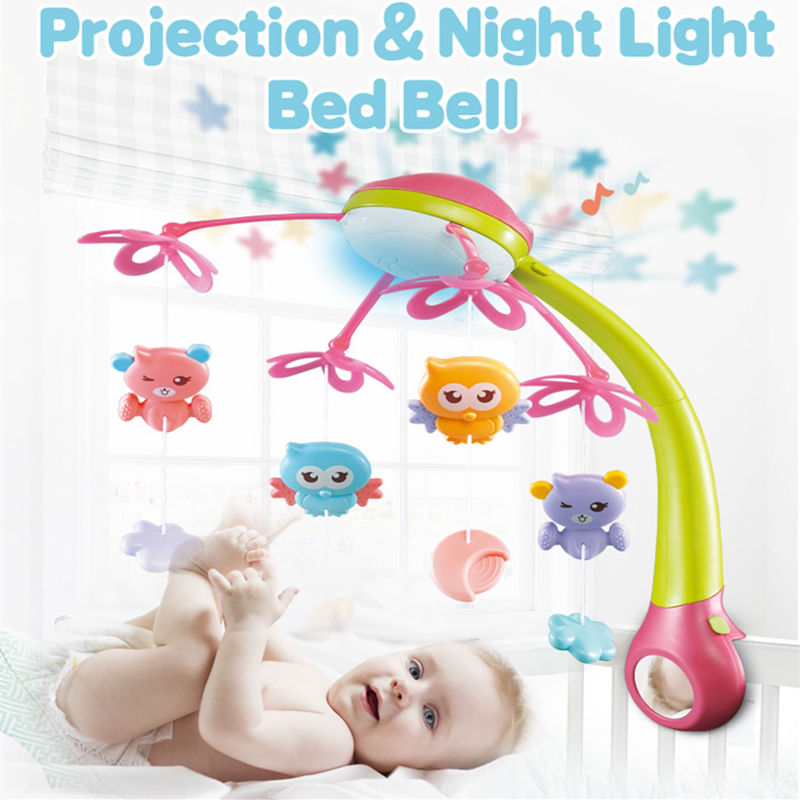 Also can help them to sleep with a soothing melody. 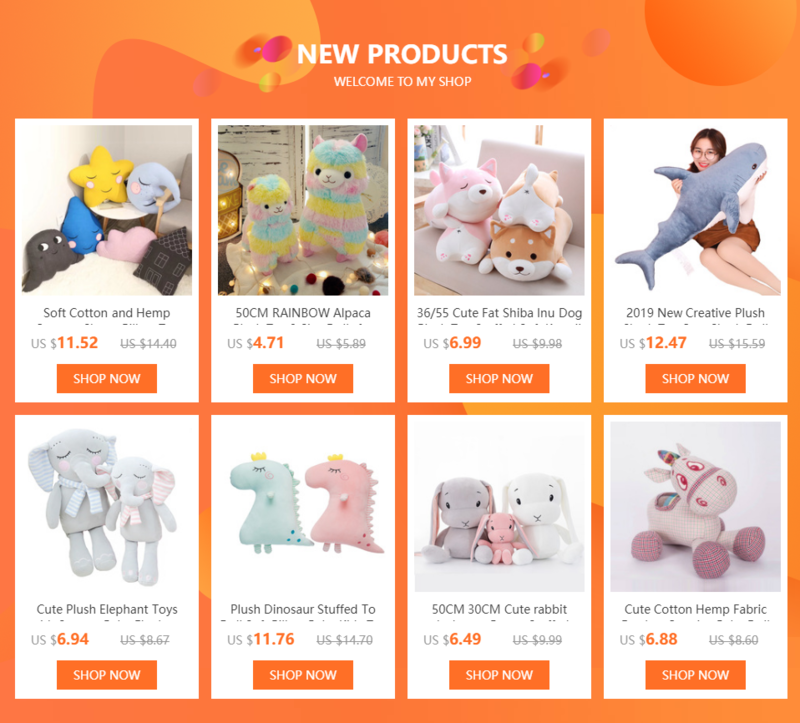 Plush toy moving round and round to the sound. 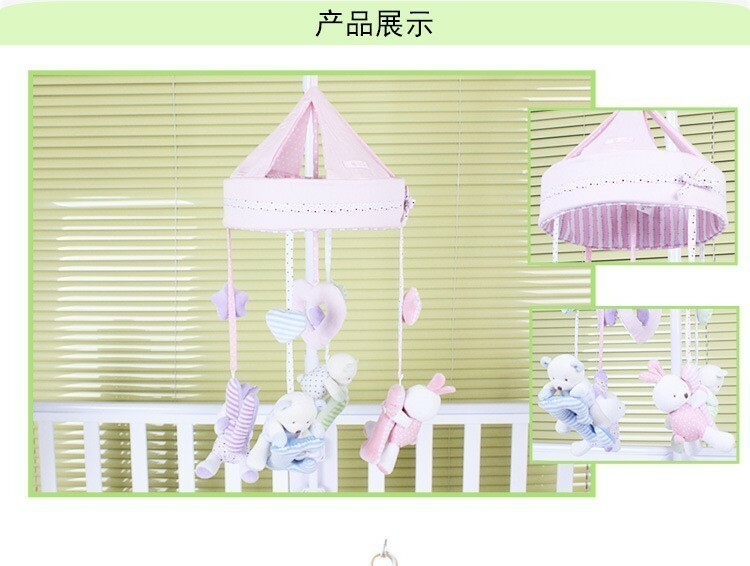 Hanging rotating dolls can be remove and play as individual rattle toys. 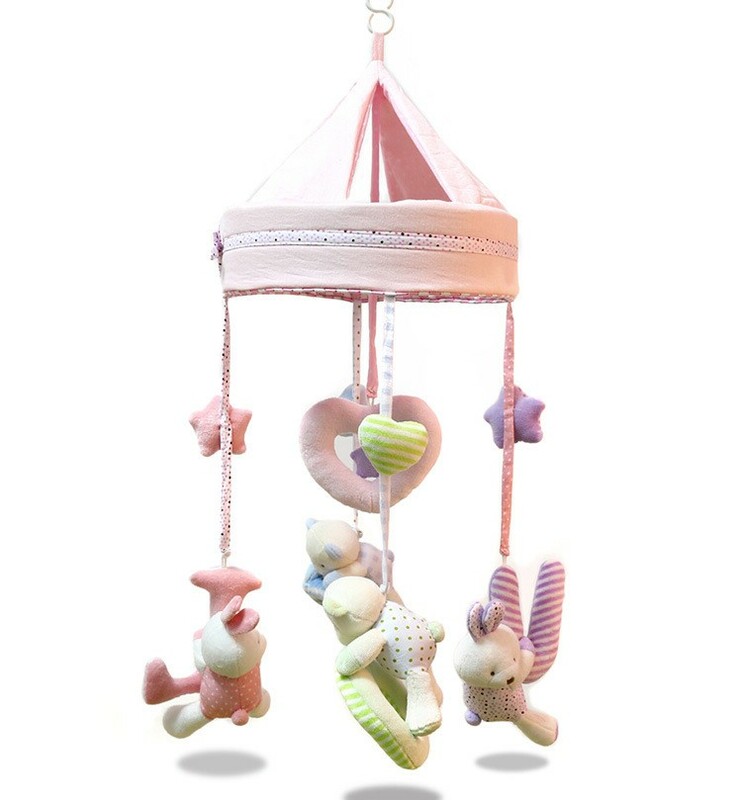 A Great gift for your baby ,also great for your friends and family who have babies. You\'d Better removed it from cribs when the babies are able to push up on their hands and knees. Not include Holder arm bracket and music box!! !